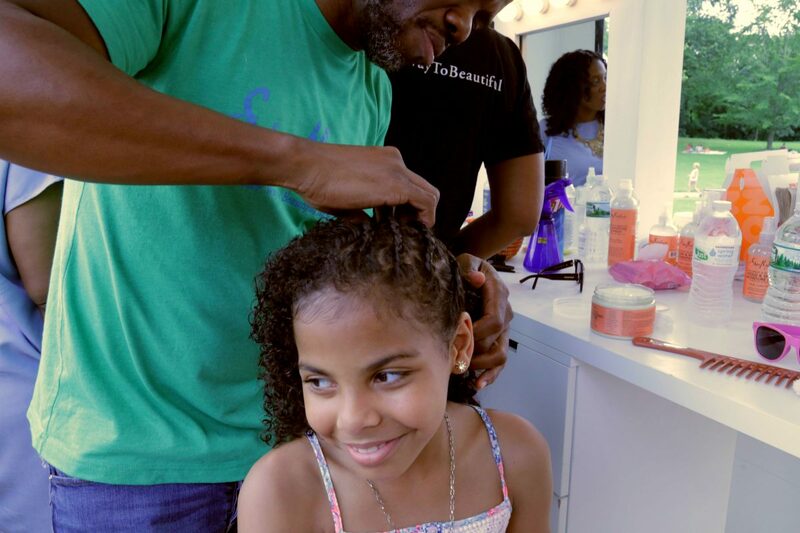 For many members of the natural hair community, this scene is dreamlike. While beauty standards have evolved throughout the years, black scholars and activists point out that pop culture has often depicted white people as setting the standard of beauty, leading some people of color to alter or conceal their features. 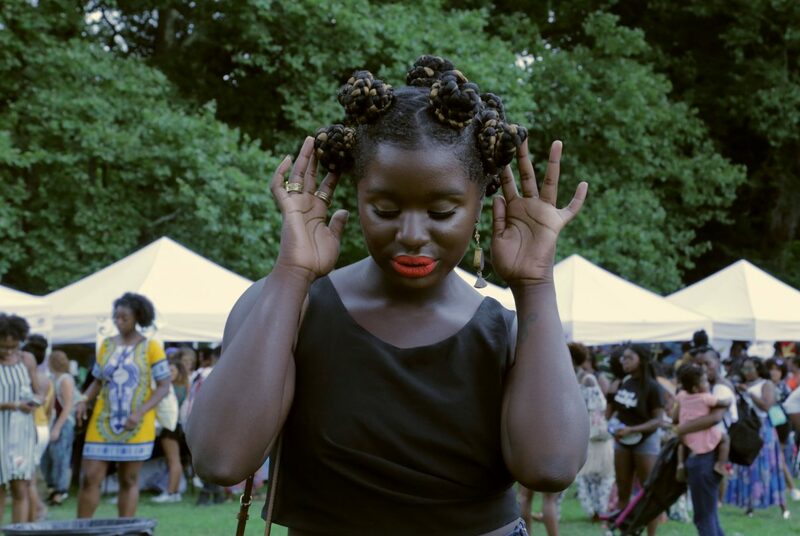 Enter Curlfest, an annual celebration of multicultural beauty in Brooklyn, New York, which took place July 15. The Curly Girl Collective formed after a friend of the collective’s five directors did “the big chop,” a ritual of cutting one’s chemically treated or damaged hair and beginning to grow hair naturally. 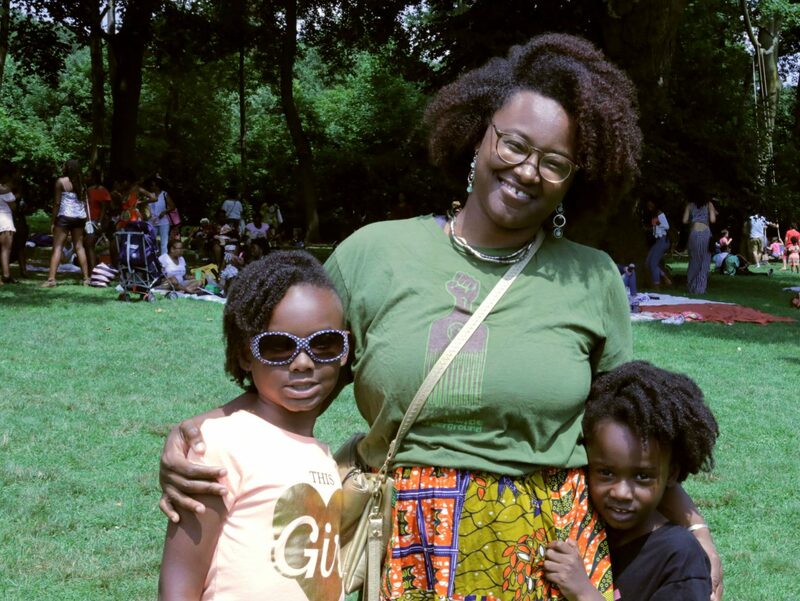 She was looking for advice on styling her natural hair texture with its shorter length, so she created an online group dedicated to the discussion of hair that grew to nearly 100 members. One of the members, Tracey Coleman, who would later become the collective’s director of events, hosted some of the group members at her home, where they swapped their favorite hair products, watched a demonstration by a professional hairstylist and styled one another’s hair. Coleman and four other women — Higgins, Melody Henderson, Simone Mair and Gia Lowe — decided to host events for the public, calling themselves the Curly Girl Collective. 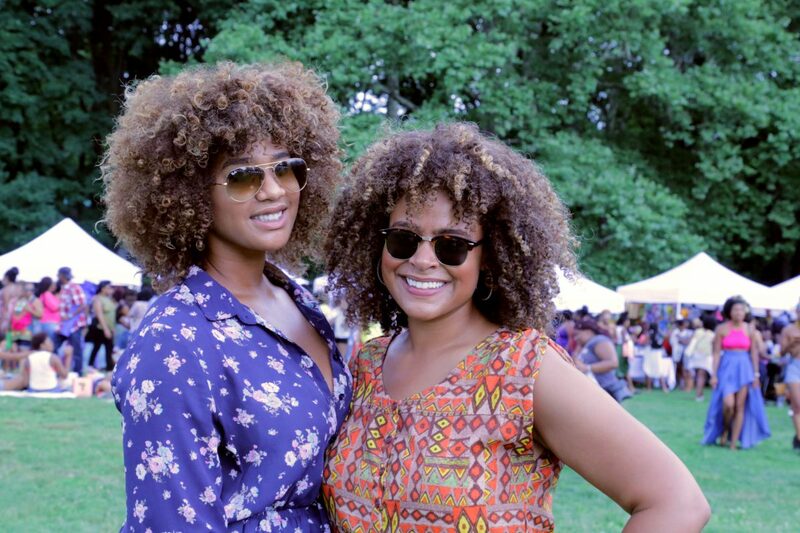 They organized live big chops, a discussion with black-owned hair brand creators and more product swaps. 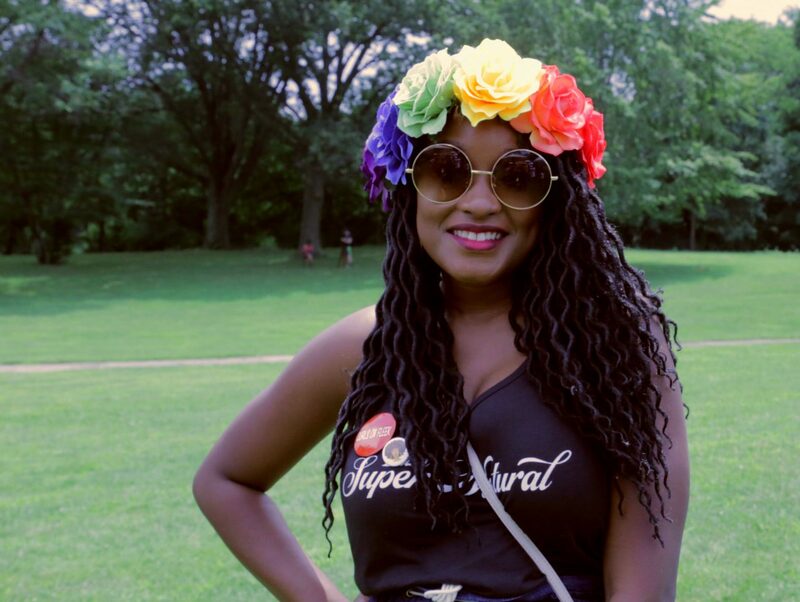 In 2014, they hosted the first annual Curlfest, which became the collective’s signature event. 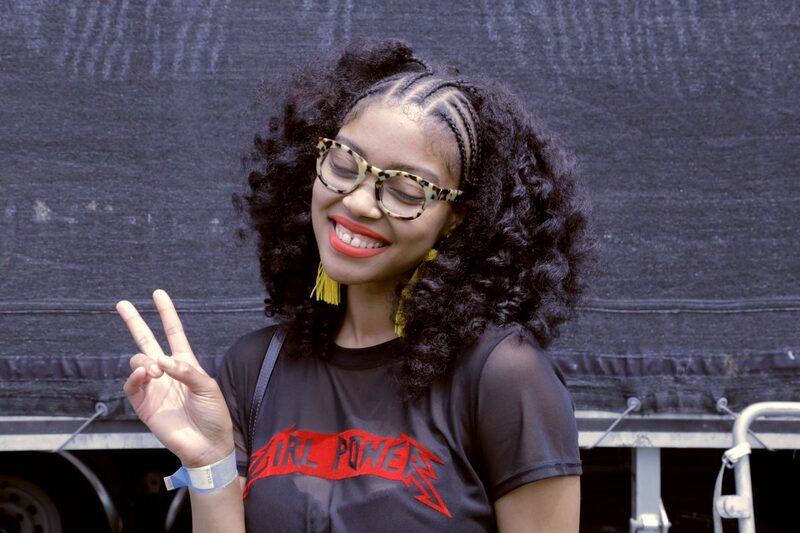 This year’s festival, which organizers said was the largest ever, drew thousands of people from around the world who bought hair products, exchanged beauty advice and above all, served looks. 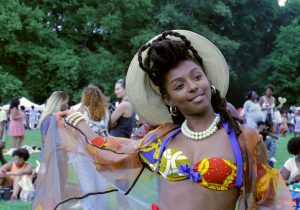 PBS NewsHour Weekend spoke with festival attendees to find out why they celebrated their hair at Curlfest. My hair means everything to me. I love it. I like to play around with different styles. I wear it natural. It makes me feel confident, it gives me my look. It’s almost like I don’t want to have my identity in my hair, but it makes me feel like a bad b*tch. I love my natural hair. It’s like a community here. Everybody is coming here with the same mindset: to enjoy themselves because everyone has natural hair. It’s something they’ve been taught to suppress because of certain white standards. Now everybody’s just loving themselves and I love it. I love the energy and the vibes and free stuff too. People, especially a lot of young ones, need to understand to love themselves because they’re taught to suppress these things. Growing up in a world like this, you need to love what you have growing out of your hair. It’s a hard world out there for people of color so they need to learn to love themselves. Candice: This is our second year coming, my first year bringing my daughter Kennedy, because last year when I came everybody asked about her so I thought might as well as bring her. 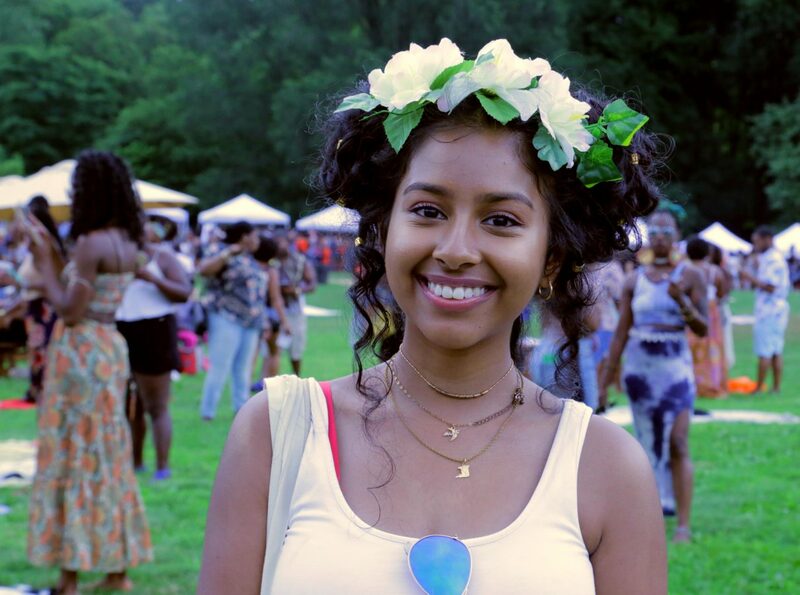 I just love the festival, the black girl magic, it just feels it’s like a feeling you can’t really put into words. Kennedy: I feel good about [my hair]. It’s my style … I like the colors because it goes with Curlfest. I’m excited to meet all the bloggers. My hair is my crown. It’s pretty much the first thing that you see. My hair exudes so much energy. I love my hair. It’s definitely part of who I am as a person. … I like to show that you can do versatility with our hair. The amazing thing about our texture is that it can be straight, it can be curly, it has superpowers, it literally can do whatever. It can defy gravity. So she noticed right away at an early age that we don’t have the same texture. I tend to embrace it. 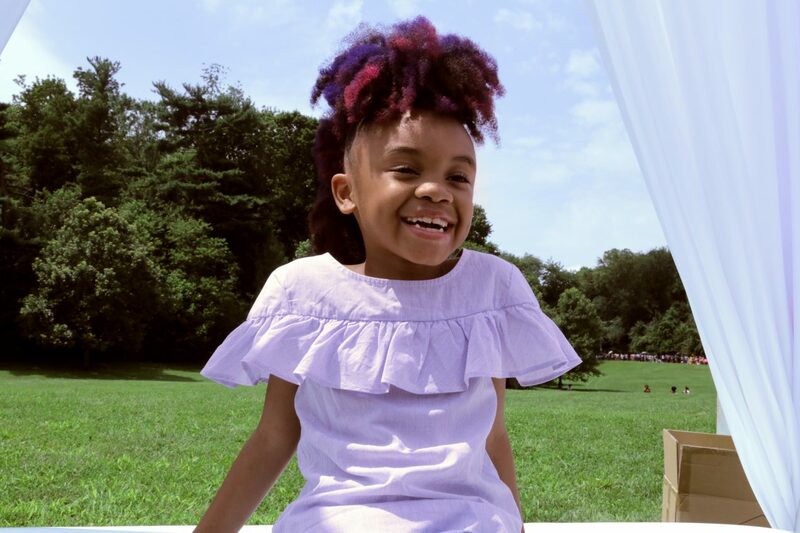 Say like, “We don’t have the same texture, but you have to go all out for your hair.” … I want little girls her age to know it’s okay to have curly hair. It’s okay to wear your hair crazy and wild. Curly hair is beautiful. 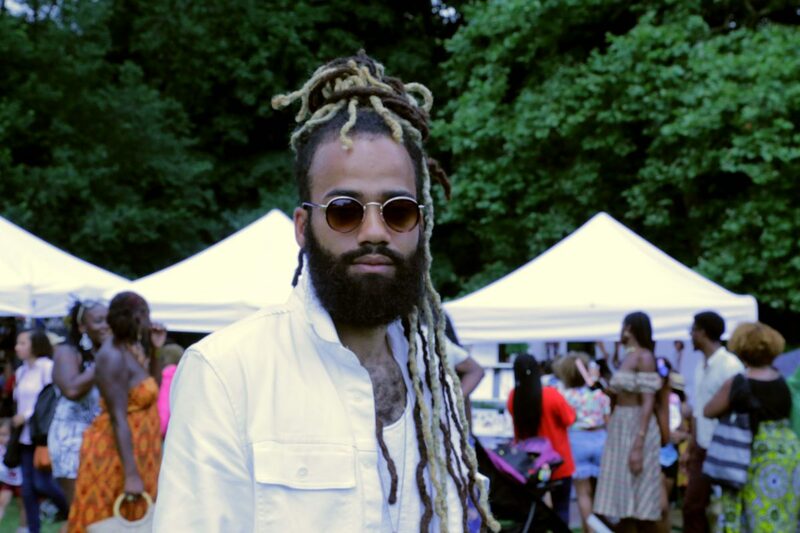 I’ve had my locs for a decade this year. It was something I knew I always wanted and grew into my own. I love locs because they’re very personal, no two sets are alike. It’s really an extension of you, your energy, your vibe. I love them. They’re a huge part of who I am and have been for the last decade. [I’m here] to check things out and for my little ones see the large gathering of black women, particularly so they can identify with their hair and give them some encouragement. It’s a simple identification. Obviously my skin is dark but my hair is also who I am. It’s an appendage of its own. Espinal: [My hair] just identifies me. People remember me by it. I’m the only one in my job that has huge hair, so everybody is always like, “her with the curly hair.” It’s what I think about. If I have a bad hair day, I’m gonna have a bad day and if I have a good hair day, I’m gonna have an amazing day. Vasquez: Especially I think nowadays and in our communities where natural hair is still in some parts not so much as taboo but still coming into acceptance, I think it’s important to have a space where you can not have that judgement or that concern and really just the appreciation of natural hair no matter what culture you are. I have a love-hate relationship with my hair. I have very thick hair and I love that my hair is very thick and healthy. I have a lot of freedom to do a range of styles. I have a hate relationship because it’s so thick. Because it’s so thick and it’s so hard to manage I often use protective styles. So now is why I have the faux locs in, to protect it and give me a break from doing my hair all the time. My hair is an extension of myself, so it’s an extension of my personality. I’m able to express myself depending on however I feel or whatever type of mood I’m in able to convey that mood or whatever I’m trying to express through my hair.